Jamestech celebrates 16 years of Electrical Services. 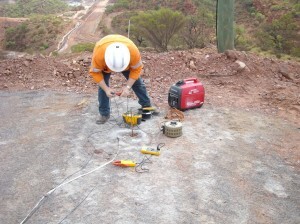 In 2012 Jamestech celebrates 16 years of Electrical Services to Mining Industry. In 1996, the same year as John Howard was sworn in as Prime Minister of Australia and Bill Clinton won his second term as US President, Jamestech began as a simple electrical contracting company, completing small electrical and instrumentation projects. 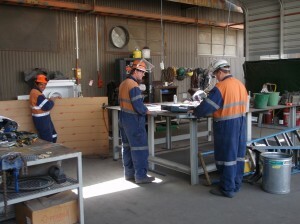 Over the next 10 years the need within the mining industry for inexpensive, efficient supply of tradesmen, technicians and engineers prepared to travel anywhere, was serviced by Jamestech and we soon grew to having employed more than 400 personnel. The Jamestech Group of companies is proud to have 3 core business units, to assist our customers. Having our own supply of electrical and mechanical specialist technicians within Jamestech (Labour) , enables us to support industries technical labour needs. Whether it be, hourly rate hire of our personnel to complete your project or a fee for service recruitment contract, we pride ourselves on supplying personnel of the highest quality whilst adhering to the “Jamestech Vision”. With all Electrical Contracting and Engineering Licenses, and all relevant Professional Indemnity and Public Liability Insurance requirements, Jamestech (Projects) has the ability to complete all Electrical Engineering, Compliance and Auditing Requirements. Jamestech (Projects) is an organisation that provides specialist advice and solutions to the Mining, Refining, Oil and Gas, Building Construction and Electrical Supply and Distribution Industries. To assist our growth and ensure our on-going commitment in providing the highest quality service as well as the continued quest for perfection, we became our own RTO (Registered Training Organisation); Jamestech (Training). Our aim of vocational education and training is to provide accredited training to enable personnel to develop the skills, knowledge and attitudes essential in our staff for the highest level of workplace performance. Jamestech always strives to provide the best possible service whilst providing competitive electrical labour and engineering contractor and know that we can always supply a quality product with our own staff, to assist you with your specialist project, training, engineering and technical labour needs. 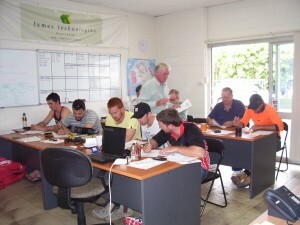 Should you require any further information on Jamestech Services, or may wish to join the Jamestech team, please do not hesitate to contact any of the Jamestech staff on +61-7-55493471 (outside Australia), or 1300 732 881(freecall within Australia).